What forms do my customers electronically sign? The signature is applied to the printed reservation receipt. Some refer to this page as the "Face Page". You can find this by navigating to the reservation page, then clicking the small print icon in the upper right corner of the reservation. Is the customer prompted to automatically sign all of my signature lines? No. There is only one place for the renter sign. This is because the only signature required is on the reservation receipt page. 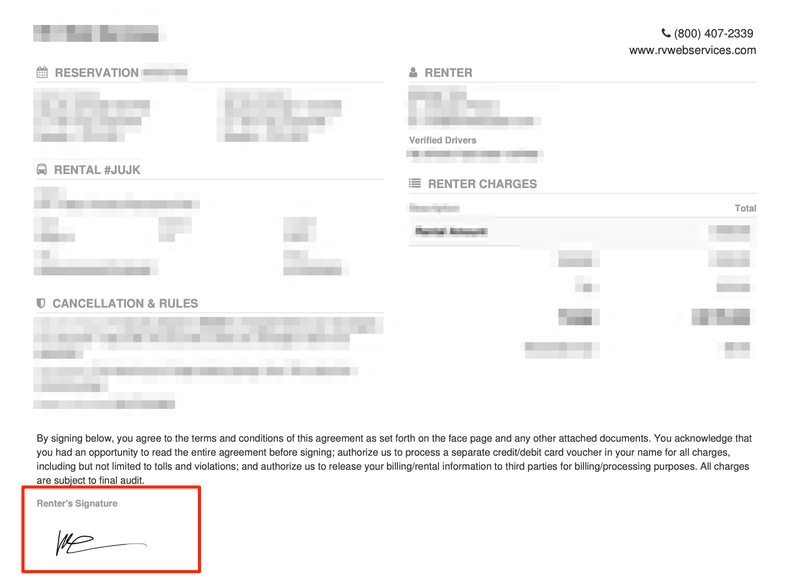 This signature binds the renter to all further attachments beyond the reservation receipt. This is where your rental contract is attached. Thus agreeing to your terms. Below is an example of what a signed agreement looks like. This would also be agreeing to any other contract that is automatically attached to the page. 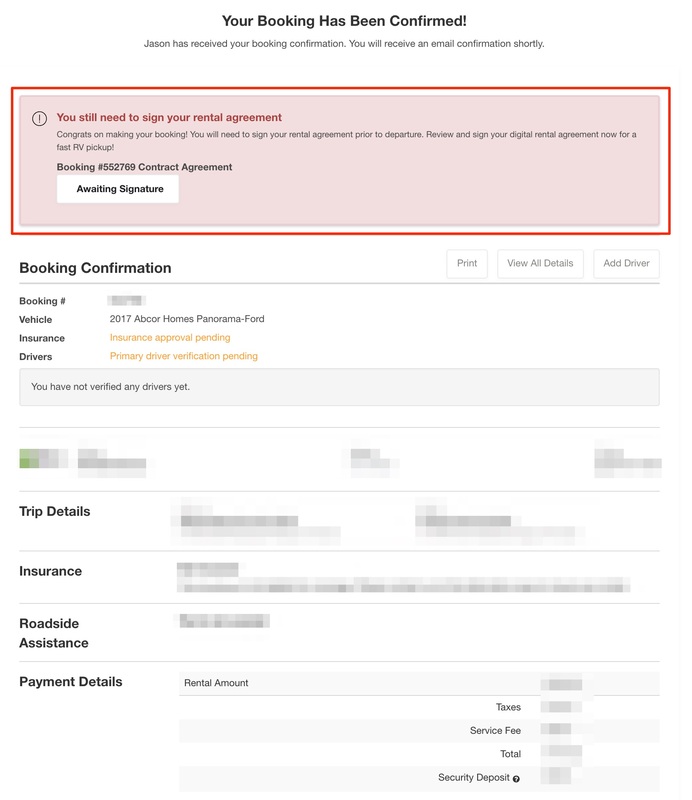 What do my renters see when booking online? Once they sign, that box will turn green and you will see this reflect on the reservation page. Where do I set up Electronic Signatures? If you've already set up Electronic Signatures, skip this step. If you haven't already set up Electronic Signatures, navigate to the link below to get started.